With Fiticket, there is something for everyone. The busy working professional, the new mom, the college student, the fitness buff, the frequent traveler, the first timer and anyone who’s looking to break the monotony – will all find something that appeals to them. There are all kinds of activities for all levels, and to fit everyone’s schedule. Monotony is a major reason for people to get demotivated from their workouts. Convenience and awareness are two other factors that come into play when someone is looking to pick a workout. 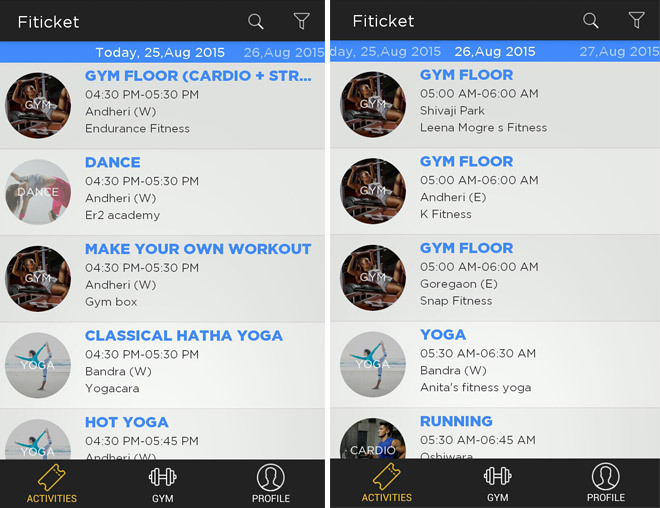 Fiticket looks to break the monotony by adding variety like never before, ensuring convenience and increasing awareness of what’s around them, (location/activity based search option). Apart from solving these problems, all this can be done on the Fiticket App at the click of a button on-the-go. One can pick any activity from the 2000 activities offered. 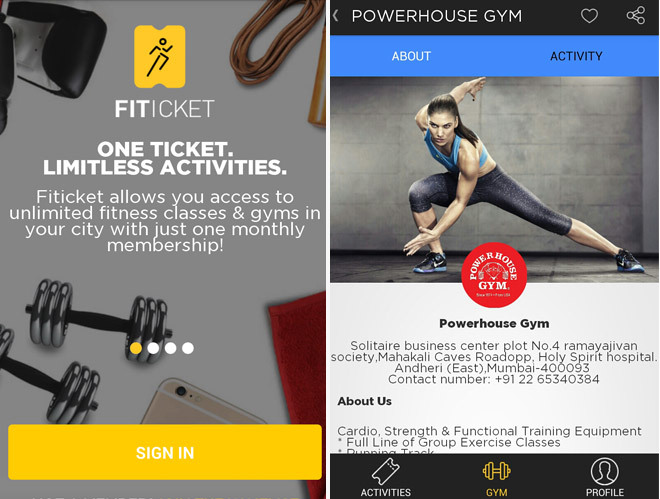 From basic activities like using the gym and swimming pools, to others like group classes for yoga, zumba, pilates, crossfit, spinning etc, Fiticket provides them all. A variety of dance classes are available such as salsa, jazz, contemporary, tango, and kathak. MMA activities include kickboxing, taekwondo, kravmaga, kalaripattayu, judo and tai chi. 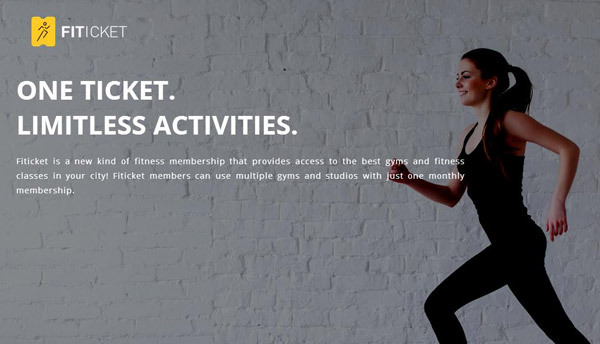 Exciting new premium activities can also be found on Fiticket such as Aerial yoga, surfboard workouts, capoeira, bokwa, trx as well many cardio based group workouts such as cross and functional training, body pump, body combat etc. 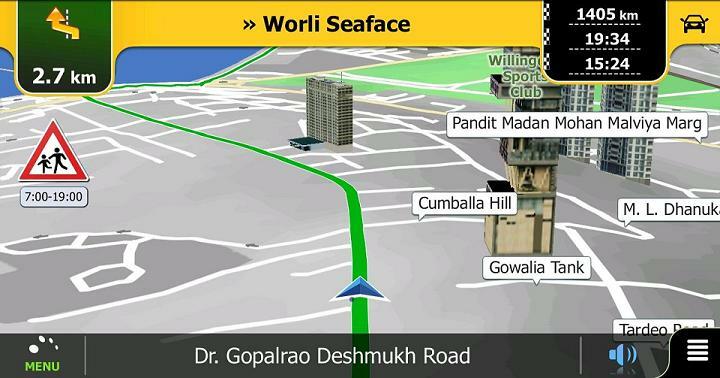 The app provides easy on the go access to fitness activities. A user can browse and book their classes via the smartphone app. Currently there is no one in the mobile platform that provides aggregated schedules for users. Research shows that doing different forms of exercise provides better results in terms of calorie burn and fat loss as compared to doing the same activity repeatedly. Therefore, people are enjoying the variety and the results!